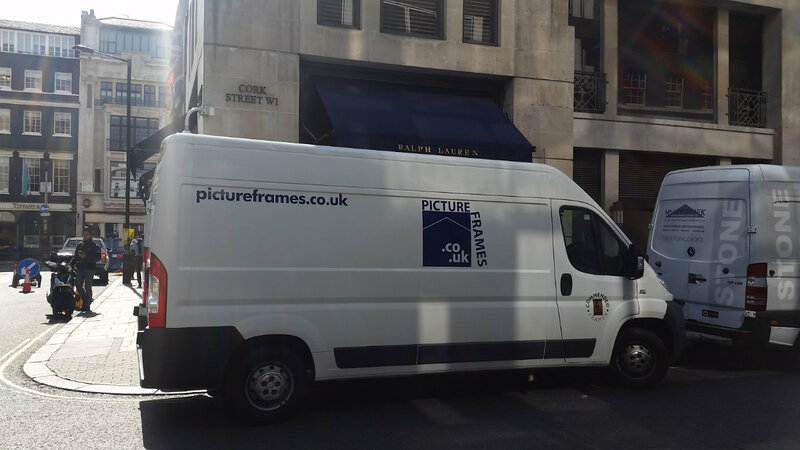 We make regular visits to London to pickup/deliver framing and printing work. 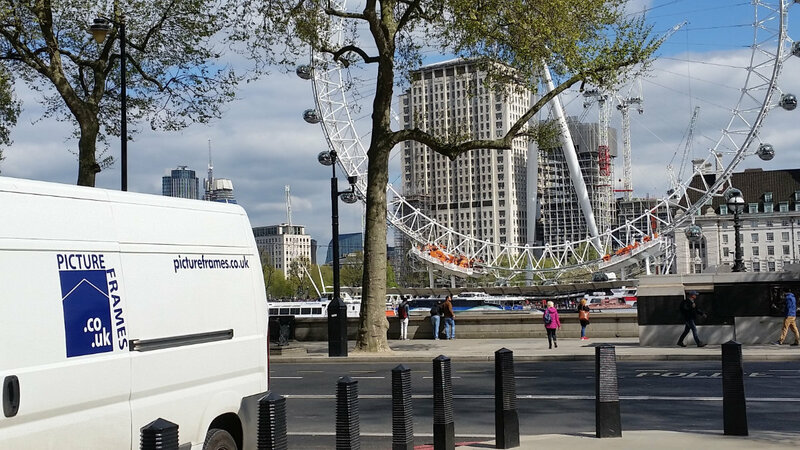 Our customers range from private individuals to galleries, design companies and other organisations…. and we can come to your place too. So while we are in town why not book a consultation with us? 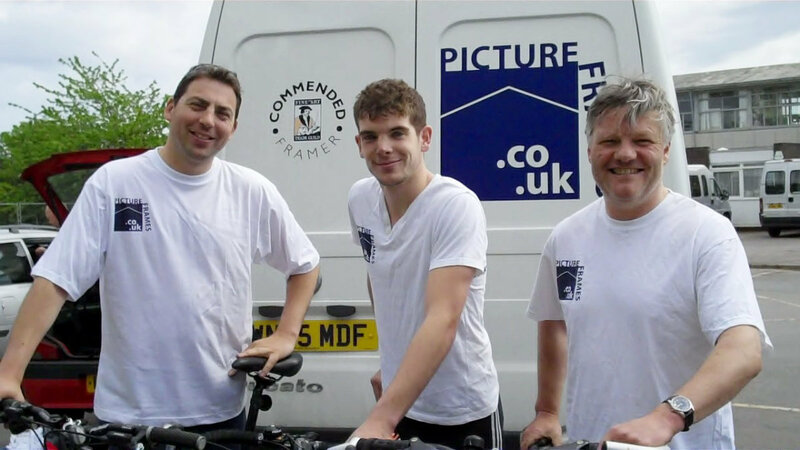 We are happy to provide great framing advice at your place of work or at home. Or if you have large or precious artwork then we can offer a pickup/delivery service. We offer the best online framing software so you can design handmade frames to suit your own style. You can be creative in the comfort of your own home and at your own pace. We also offer a hand-holding system Skype-a-Framer© which gives you access to an expert framer for advice and guidance. 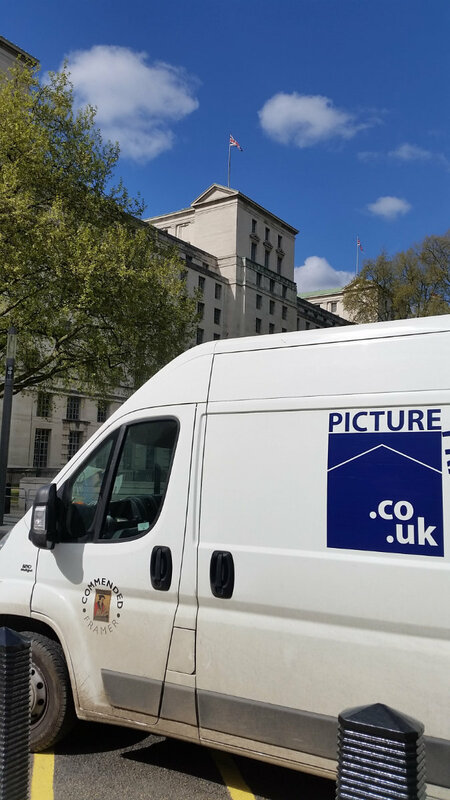 We are delighted to offer our consultation services and a secure pickup/delivery service to any customer situated close to our route – in the following postcodes: SP; SO20; RG21-25; RG27-29; GU14-20; GU24-25; GU51-52; TW; SW1; SW3; SW5-7; SW10; SW13-14; W; KT16; NW1; NW6; NW8; WC; E1; E14; EC. You can book a preferred time slot for these areas . 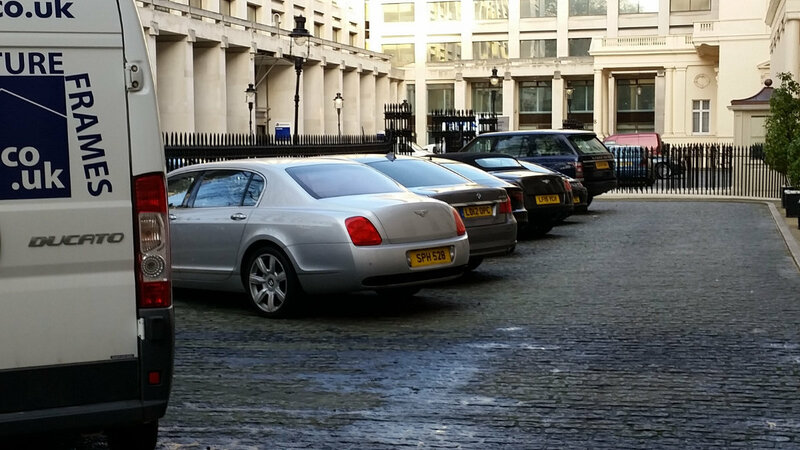 Please contact us to discuss a visit in any other part of the UK or Ireland. 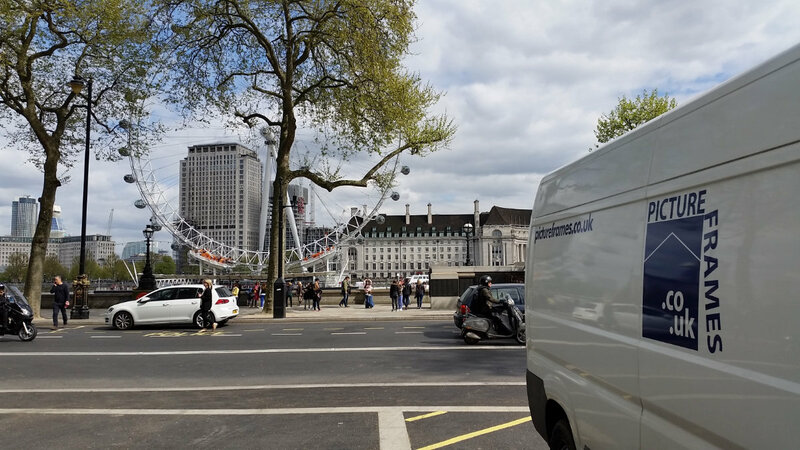 As we visit London every week we can offer a pick up/delivery service for oversized or valuable artworks . Whilst taking receipt of the artwork you can discuss with the framer the best way to frame your artwork and allow them to show you several variations of framing from the samples they will be carrying in the van or on their online tablet. Once you have picked a convenient time by using our London Consultation booking system below we will contact you to discuss the details. 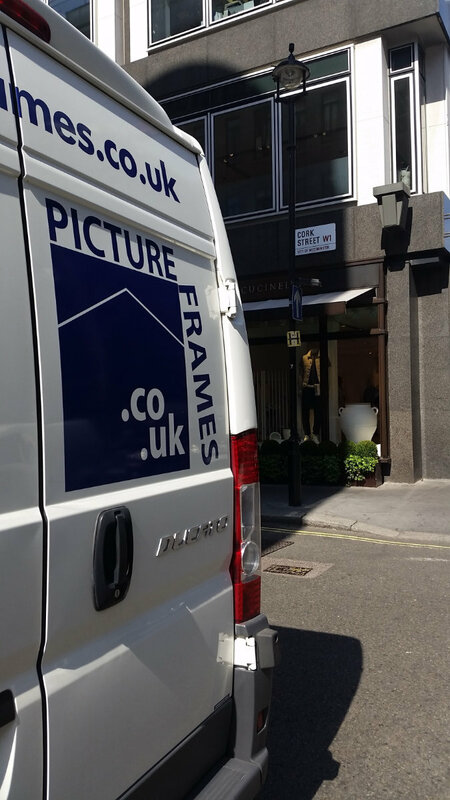 Take advantage of our brand new service and allow an expert framer to guide and advise your selection of the perfect pictureframe for your picture.